Shikur B, Deressa W, Lindtjørn B. 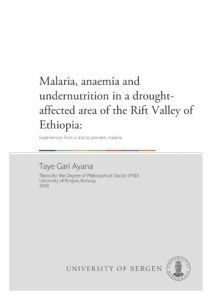 Association between malaria and malnutrition among children aged under-five years in Adami Tulu District, south-central Ethiopia: a case–control study. BMC Public Health 2016; 16(1): 1-8. Background: Malaria and malnutrition are the major causes of morbidity and mortality in under-five children in developing countries such as Ethiopia. Malnutrition is the associated cause for about half of the deaths that occur among under-five children in developing countries. 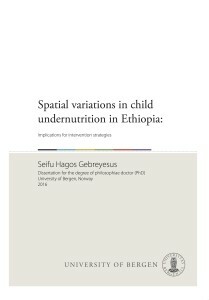 However, the relationship between malnutrition and malaria is controversial still, and it has also not been well documented in Ethiopia. The aim of this study was to assess whether malnutrition is associated with malaria among under-five children. 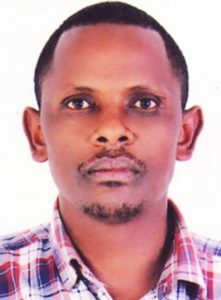 Methods: A case–control study was conducted in Adami Tulu District of East Shewa Zone in Oromia Regional State, Ethiopia. Cases were all under-five children who are diagnosed with malaria at health posts and health centres. The diagnosis was made using either rapid diagnostic tests or microscopy. Controls were apparently healthy under-five children recruited from the community where cases resided. The selection of the controls was based on World Health Organization (WHO) cluster sampling method. A total of 428 children were included. Mothers/caretakers of under-five children were interviewed using pre-tested structured questionnaire prepared for this purpose. The nutritional status of the children was assessed using an anthropometric method and analyzed using WHO Anthro software. A multivariate logistic analysis model was used to determine predictors of malaria. Results: Four hundred twenty eight under-five children comprising 107 cases and 321 controls were included in this study. Prevalence of wasting was higher among cases (17.8 %) than the controls (9.3 %). Similarly, the prevalence of stunting was 50.5 % and 45.2 % among cases and controls, respectively. Severe wasting [Adjusted Odds Ratio (AOR) =2.9, 95 % CI (1.14, 7.61)] and caretakers who had no education [AOR = 3, 95 % CI (1.27, 7.10)] were independently associated with malarial attack among under-five children. Conclusion: Children who were severely wasted and had uneducated caretakers had higher odds of malarial attack. Therefore, special attention should be given for severely wasted children in the prevention and control of malaria.